Sawtooth Star has always been one of my favorite blocks. 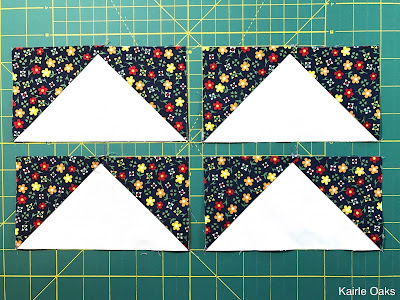 I've said it before and I'll say it again, I just love traditional blocks! 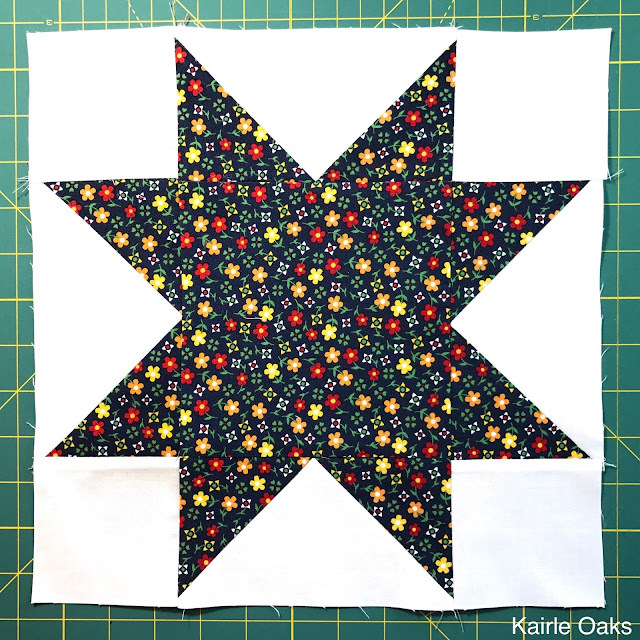 And it doesn't get more traditional than the often used Sawtooth Star. 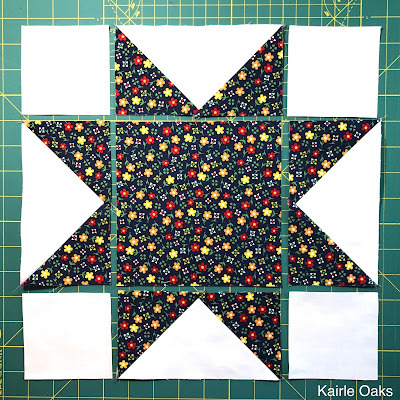 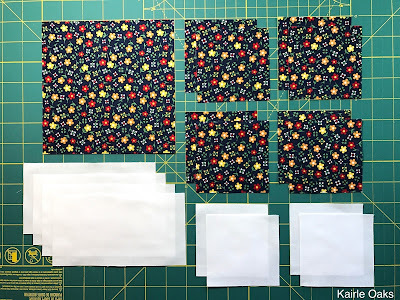 This is the block that I used to make my Calico Stars quilt, using Gingham Girl fabrics by Amy Smart for Penny Rose Fabrics. 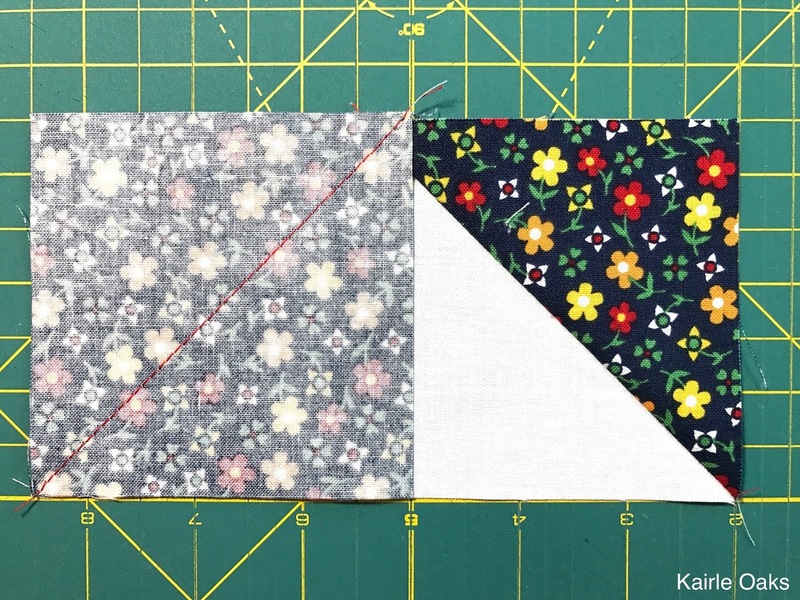 TIP: You can get two blocks from one fat quarter of calico. 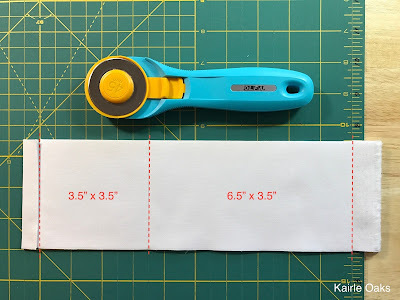 Here's a little tip for cutting the background fabric. 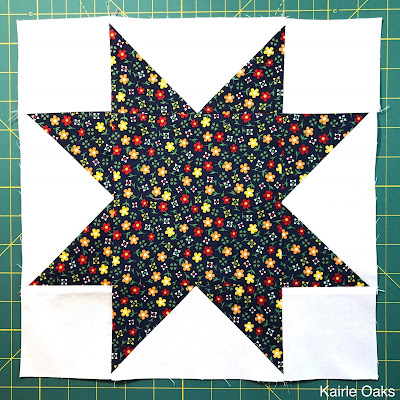 It takes one 3.5" x width of fabric piece for each star block. 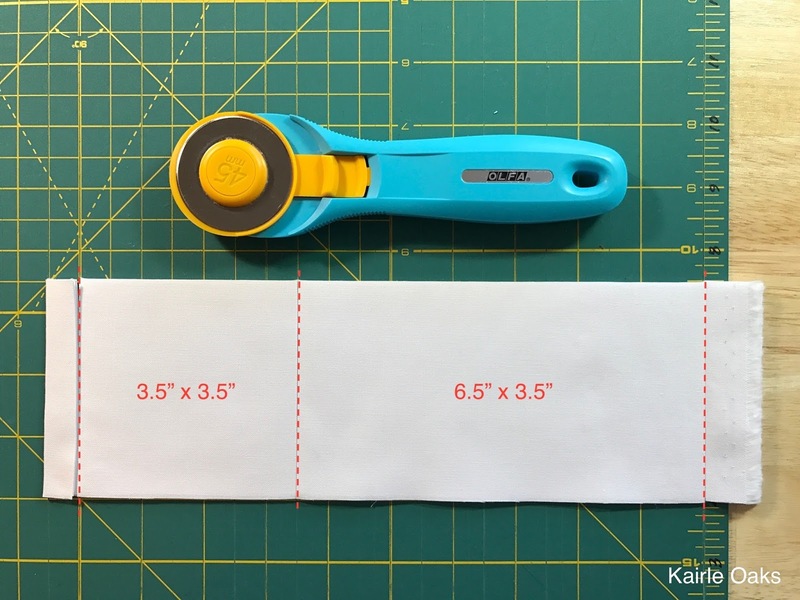 If you fold the strip in half twice, so that there are four layers, you can cut it as shown in the above picture to save steps in cutting. 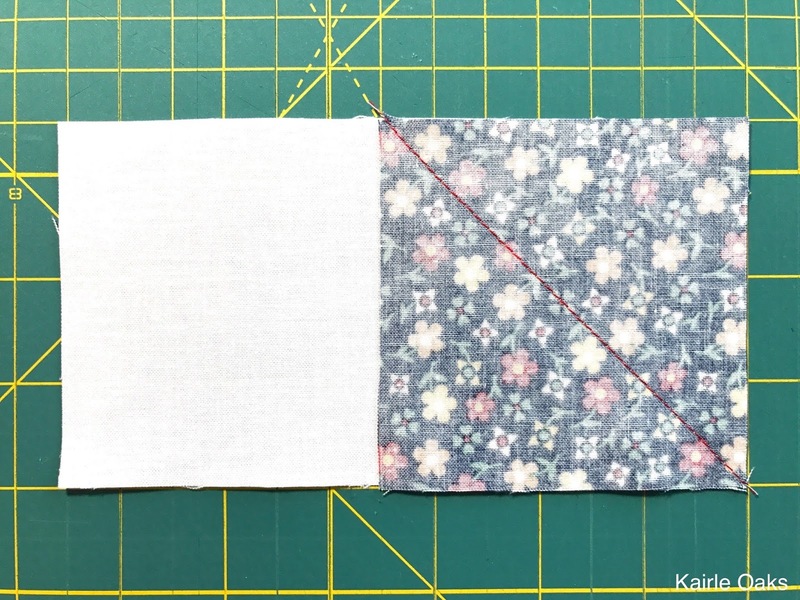 Place a 3.5" square on top of 6.5" x 3.5" background fabric and sew as shown above. Repeat for a total of four pieces. 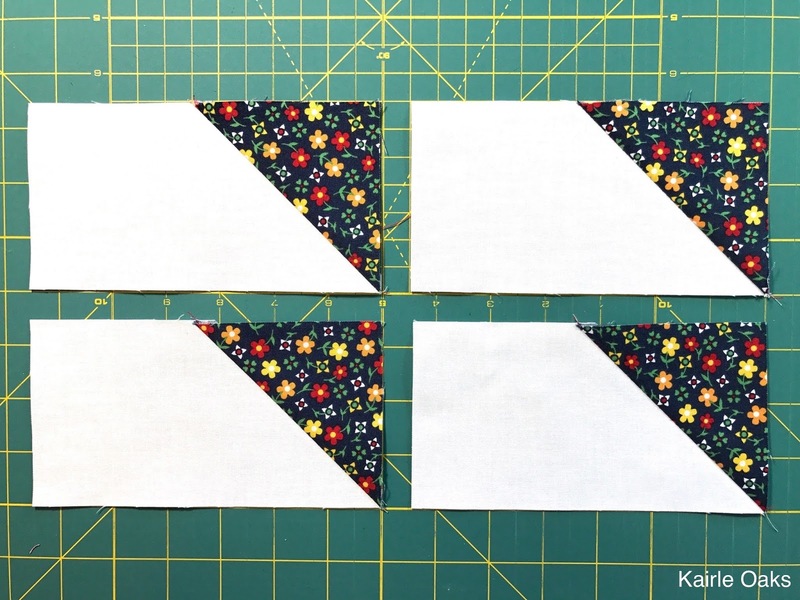 Trim, then fold corner back and press, as shown above. Again, place a 3.5" square on top of 6.5" x 3.5" background fabric and sew as shown above. 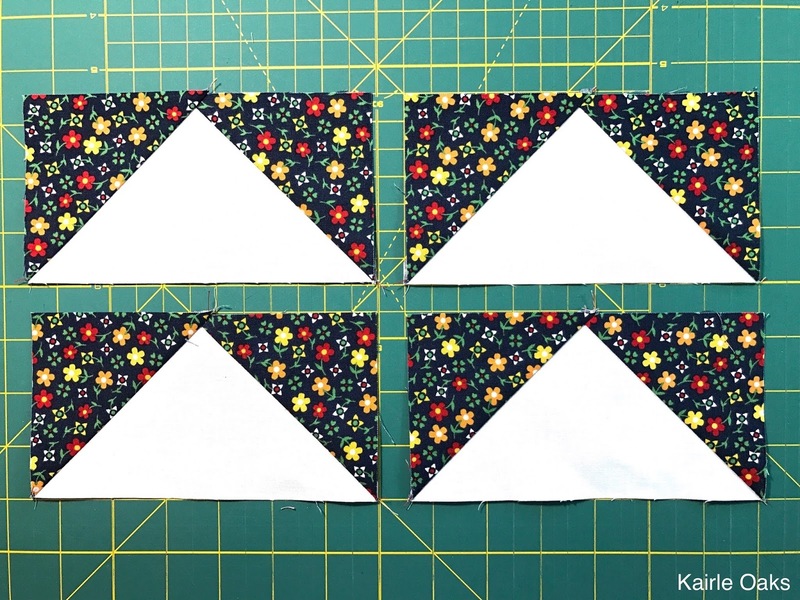 Repeat for a total of four pieces. Arrange block, as shown above, and sew together. Unfinished block measures 12.5" square.